The run has been rescheduled to Sunday, July 6th and all other details are the same. 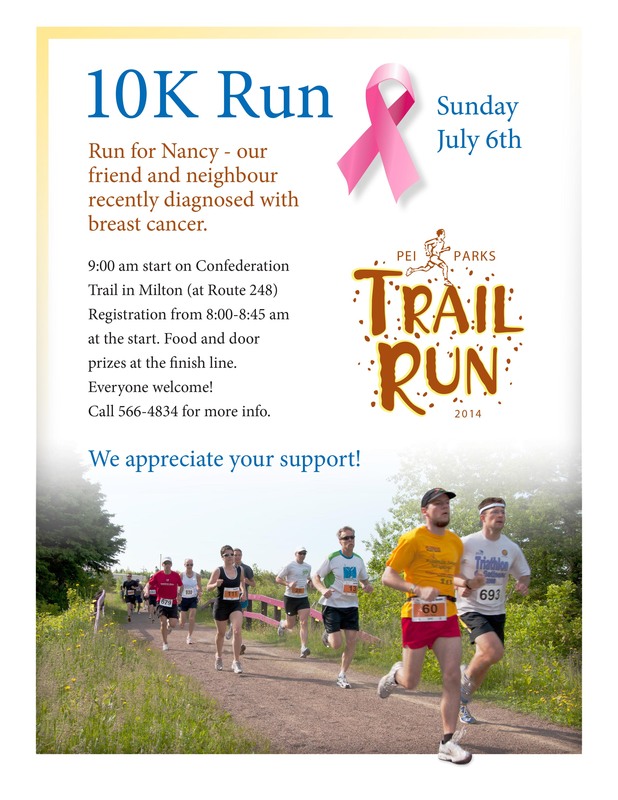 Neighbours and friends of Nancy Jenkins who lives on the Upper Meadowbank Road are organizing a fundraiser 10K run for her. Nancy has been diagnosed with a rare and aggressive breast cancer. All are welcome to participate in the fundraising run. Please find details on the poster. As an alternative, they suggest food or financial donations. Nancy Jenkins’ address is 468 Upper Meadowbank Road, Cornwall, PE, C0A 1H0.